Following the footsteps of other Asus devices like ZenPad 3S 10 and Zenfone 3 Max, Zoom variants, Asus is now pushing the Android 7.0 Nougat update for Asus ZenPad 3 8.0. 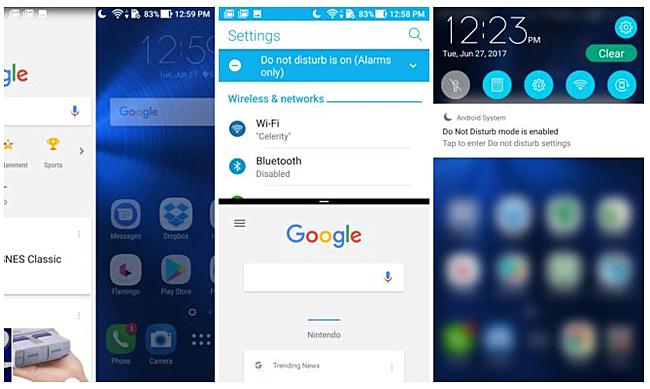 The latest update added various Nougat based functionalities such as Multi Window and Enhanced Doze support. The Nougat update is being carried out for the Z581KL model and carries the firmware version JP_V 5.5.0_20170616. The update is being carried out by Firmware Over The Air (FOTA) and should reach your devices by the following week. -Multi-window function: After pressing the multitasking button, press and hold the application you want to display in two screens and move to the upper part of the screen, or press the “Multi-window” button from the quick setting It is possible to display two applications on one screen *. -Data saver function: ON / OFF is selected, if turned ON, background communication at mobile data communication can be completely blocked, and it can be generated by user’s own operation We will also save data traffic. This setting can be applied on an application basis. -When a new SNS message arrives, you can immediately reply from the notification displayed in the notification area without opening the SNS application. -Switchable display size (DPI) of screen: It is possible to enlarge / reduce the display of the whole screen at maximum 5 stages. -Easier switching of display language and change: Switching of display language is now easier. Searching for the target language from all the language lists so far can select any language in the previous level so that you can immediately select it. -Manner mode display available on a per application basis: Displaying only notification icons with notification sound, no vibration, when there is new arrival information is now available for each application. -ZenMotion’s “Furu Furu” is deleted when updating to Android 7.0. -The application ‘Share Link’ will be deleted when updating to Android 7.0. -The application “ASUS Splendid” has been added. With some manufacturers already gearing up for providing Android O to its devices and others busy updating their devices to combat various security issues, the Nougat update by Asus comes too little too late. While we agree that Asus ZenPad 8.0 is in no way a flagship device and since it launched with Android 5.0.1 Lollipop out of the box, its nothing short of a miracle that the device is receiving a Nougat update, Asus could do better by sending out regular and timely updates to its users.